1. 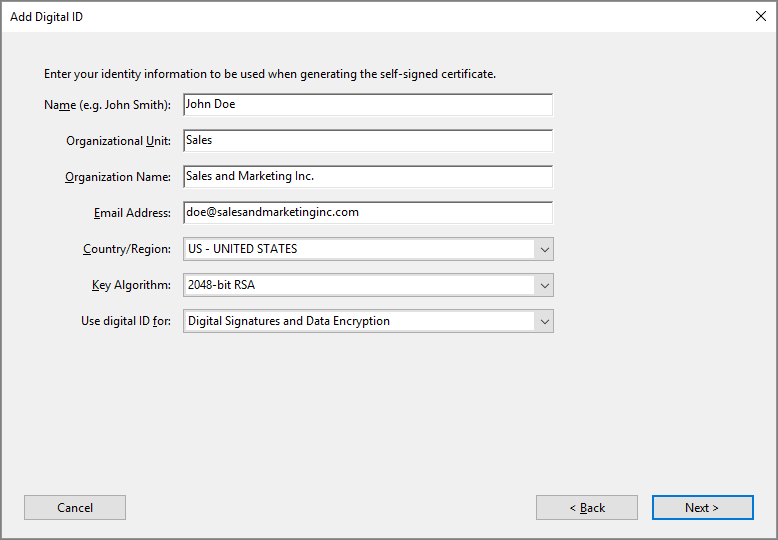 In Acrobat, click the Edit menu and choose Preferences > Signatures. 2. 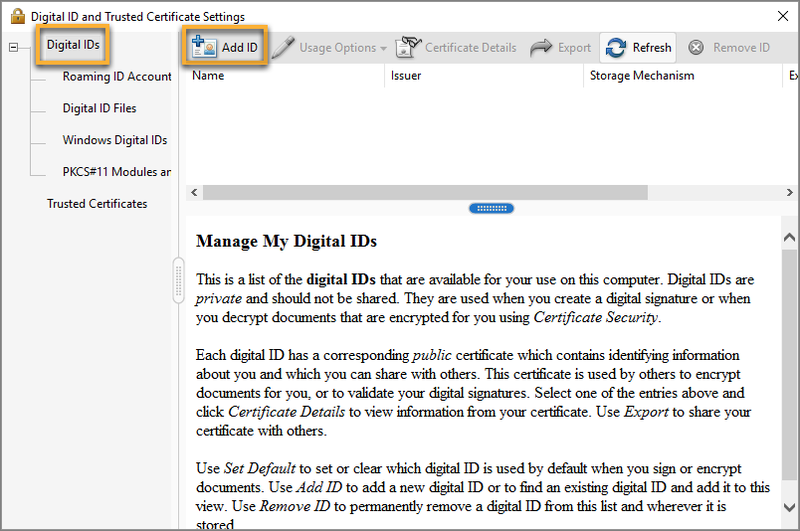 On the right, click More for Identities & Trusted Certificates. 3. 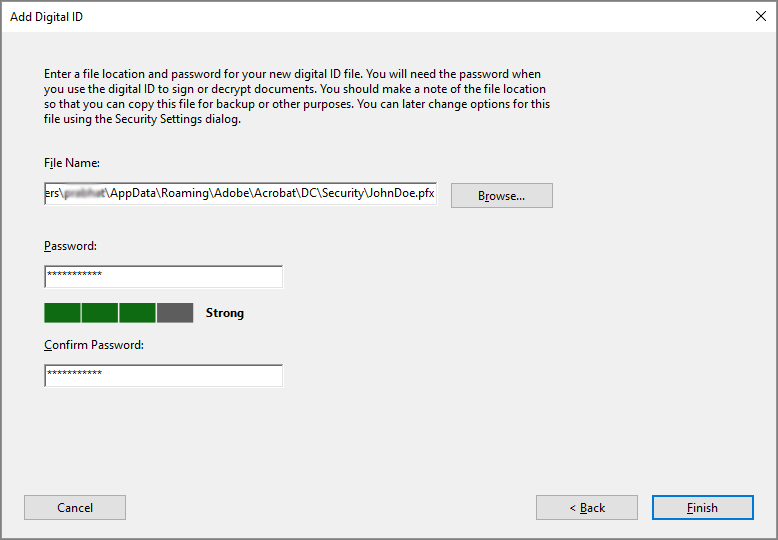 Select Digital IDs on the left, and then click the Add ID button. 4. Select the option A New Digital ID I Want To Create Now, and click Next. 5. 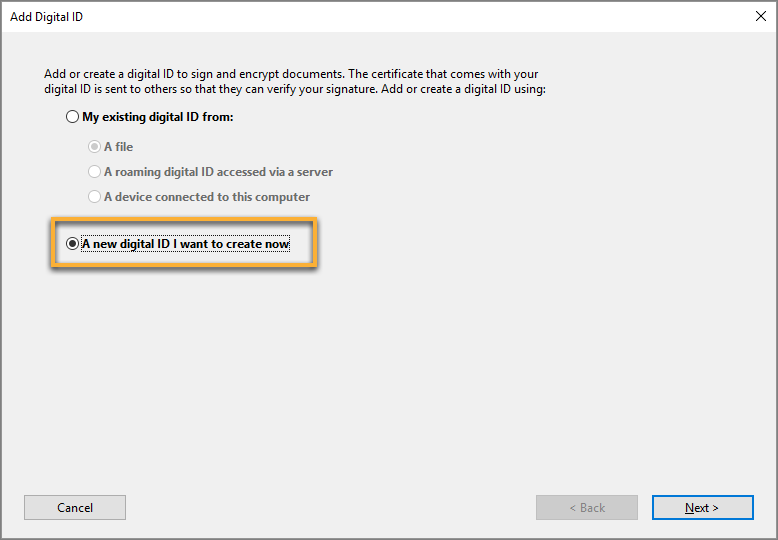 Specify where to store the digital ID, and click Next. 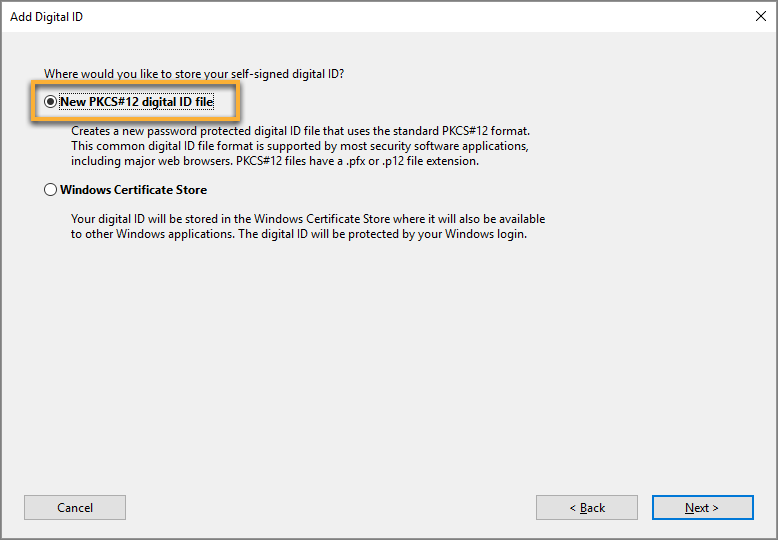 Stores the digital ID information in a file, which has the extension .pfx in Windows and .p12 inMac OS. You can use the files interchangeably between operating systems. If you move a file from one operating system to another, Acrobat still recognizes it. 8. The ID is created. 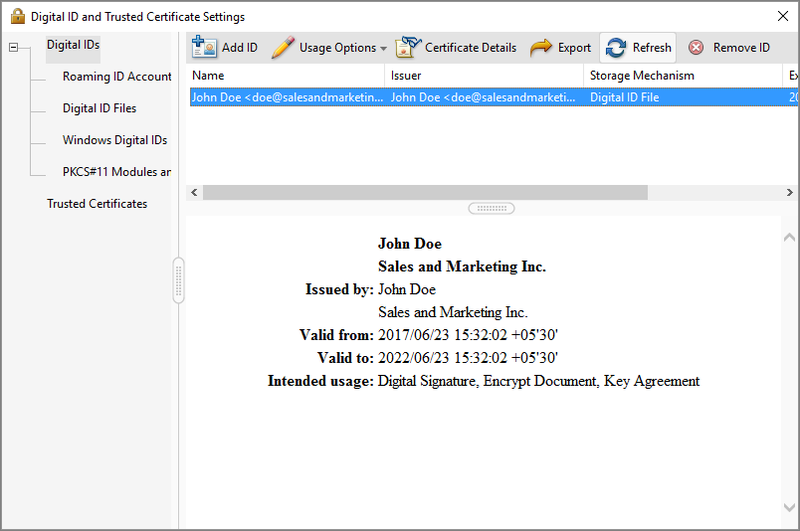 You can export and send your certificate file to contacts who can use it to validate your signature. Congratulations!!! You just created your first digital signature.